Digital Echidna has received the 2018 WebAward Standard of Excellence award for its work on its client, Amico Corporation, website. The recognition came in the Medical Equipment Industry category. The announcement was made today, by the Web Marketing Association, who presents the annual WebAwards. Now in its 17th year, the WebAward program is the longest running annual website award competition dedicated to naming the best websites in 96 industries while setting the standard of excellence for all website development. The judges’ feedback included positive comments about the layout, content, and architecture of the new site. 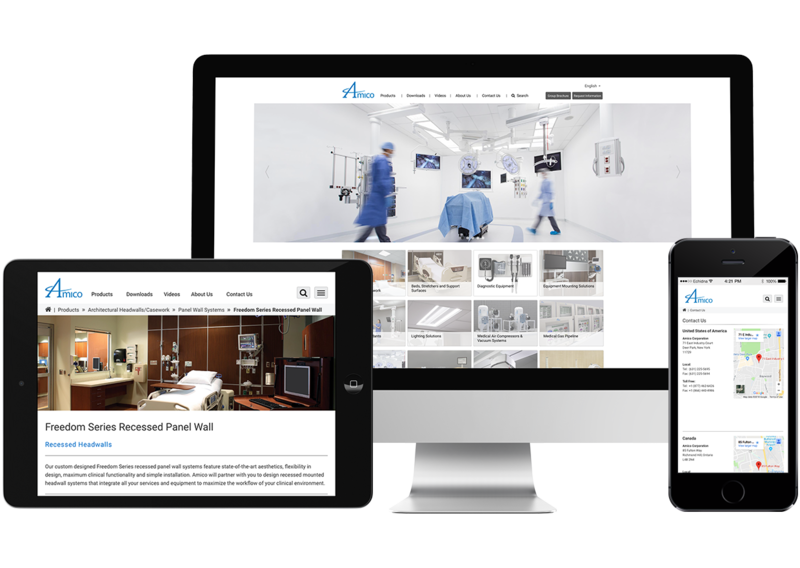 This is validation that Amico’s new website, which was built using the Drupal 8 content management system, is clear and focused, architecturally and interactively excellent. Launched April 2018, the site’s improved navigation and search function received high marks from the judges. A WebAward demonstrates to the world that the highest standards have been met for this website. Most often we don't use this blog to publish client stories or case study material, but an award-winning site deserves some space here. Amico Corporation mission is to provide state-of-the-art products that facilitate the caregiver's role in providing the best outcomes for patients. Though its website is not an e-commerce site, it is a vital part of its consumer engagement and sales distribution strategy. It must disseminate information, images, product videos, and spec sheets across three different languages and as many countries, with no downtime and at high speed. Its legacy site was built several years ago with Drupal 6. Still enamoured with Drupal and open-source but the relationship with current web vendor broken, Amico was challenged to find a vendor that would create an enriched user experience and upgrade, as quickly as possible. Our deep expertise in Drupal and our client-centric care was appealing to the Drupal-savvy Amico, who were keen to continue using this technology. After reviewing the projected site’s functionality requirements and wish list, it was agreed that the best path was an upgrade to Drupal 8. Though passing Drupal 7 altogether would mean rebuilding much of the legacy site's front end, making up for this additional work is Drupal 8's built-in modules, mobile responsive themes, added accessibility inclusions, powerful multilingual tools, improved performance, HTML5, and better SEO and analytics tools. Most notable improvements to this site include changes in navigation, search and back-end administration. The relative complexity of the content that gets exposed on the site -- a mix of media and structured data that keeps updating over time -- means regular maintenance could be time-consuming for administrators. Drupal 8’s support for direct content editing for most content types makes the life of administrators significantly easier. The addition of Solr search functionality makes products much easier to find, too. I nominated this site because the end product is an impressive, multilingual site with advanced site building and some amount of custom functionality. The work to achieve this was not done overnight -- even though our Acquia certified developers make things look that easy. Important to this successful build is the preparation the client did, in discovery and at checkpoints along the way, to help us define and deliver on brand, values, messages, and the needs of a target audience. 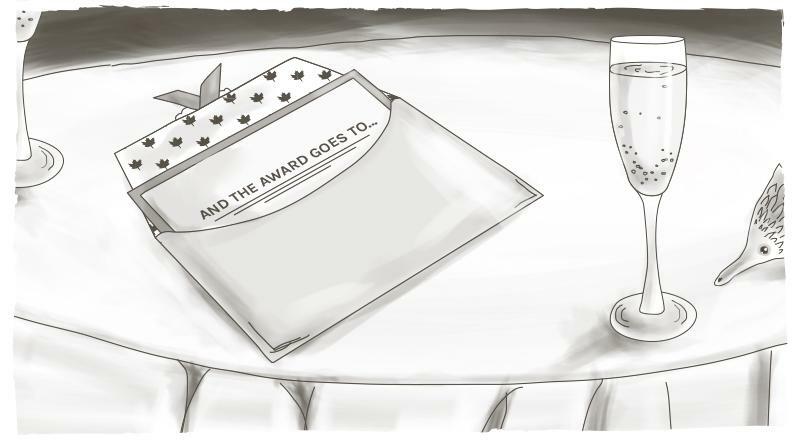 What is a WebAward? Why upgrade from Drupal 6 to Drupal 8?